Vaping is an alternative to smoking cigarettes and other materials. 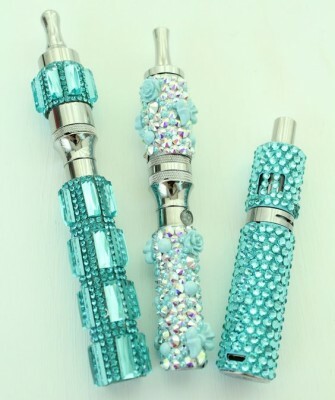 Electronic vaporization, or vaping, as become much more popular during recent years. There are benefits and drawbacks of using vaping devices, and what follows is a list of the pros and cons of vaping. Many people are repulsed by the smell of cigarettes and cigars. tobacco may remain in clothes, furniture, curtains, cars lining, hair and other substances for long lengths of time. Cigarettes may also stain teeth, skin, ceilings, cars and other things that people do not want stained. This can cause security deposits to be lost and people to believe that you are unhygenic. Vaping, on the other hand, does not leave odors or stains. Because the chemicals used in vaporizers do not produce tar and are not odorous, these common complaints are no longer valid. Electronic vaping devices use various liquids that are evaporated and inhaled. These can have varying levels of nicotine or other chemical substances. The most common and popular liquids have nicotine within them, and they are used the same way cigarettes are. Some companies have reduced or eliminated nicotine and other chemicals with the purpose of having people kick their addiction of cigarettes. Because of the way that vaping devices are used, the oral and manual fixations that are associated with cigarettes are treated. Vaping also allows users to change the flavor of their liquids and the form of their vaping device. Alongside nicotine-free liquids, users may also decide to have berry, coffee, spice, natural or any other flavors that have been made available. Some devices are simple and cigarette-like, while others offer a wide array of modification opportunities. Different modifications can be added onto the device to make the smoke smoother or cooler. Other modifications may make the device light up or play sounds when used. 4. Most importantly, vaping offers a potentially cancer-free nicotine experience. As it is well known that cigarettes may lead to cancer and other health complications, the science behind vaporizers has not yet given evidence that supports that they lead to health complications. This also may make the environment in which you, your children, your family and your friends live in much more safe. While there are currently no links to negative health effects such as cancer and pulmonary problems, there is not enough evidence to say that they are safe for certain. Additionally, there are little to no regulations of vaporizers and the liquids that they use. This means the companies are free to place various and untested chemical compounds in their formulas. Propylene glycol is the most common base for vaporizer liquids. Little research and few observations have been made about the health consequences of breathing in this substance. It is also unknown how the secondhand vapor may influence those who inhale the vapor. The health consequences of consuming vaporized material, regardless of its non-vaporized chemical properties, has also not yet been fully understood. The batteries within vaporizers have been known to cause burns and to have even exploded. This may cause burns on the hands and lips, and an explosion has been reported to damage someone’s tongue and teeth. While this is an unusual occurrence, it is still possible that it may happen when improperly used. Heated liquid may also be released from an improperly sealed device, and this may lead to chemical burns that may cause discolored burn scars. Because of the ease of hiding vaporizers and liquids, the use of these devices are common among teenagers. This has the potential to cause increased nicotine addiction levels in people who otherwise would not have been exposed to the chemical. As they are flashy and sleek, they may also grab the attention of people who otherwise would not be interested in cigarettes. Additionally, they are viewed as a healthy alternative to ciagarettes and may be used by people who have done little to no research on them. Flavors are often sold with fanciful images that may be targeted to minors who otherwise would not be advertised to by standard tobacco packaging. vaporizers may be used with other substances, and may therefore be treated as drug paraphernalia. These devices may be viewed as leading to regular tobacco use, and may also lead to the use of more dangerous drugs and intoxicants. People who have never used nicotine may find themselves purchasing nicotine based liquids without realizing it and may become addicted to nicotine unintentionally. It is important to note that cigarettes and cigars do pose real and verified health risks, and that it is likely healthier to use vaporizers rather than conventional cigarettes. According to the available evidence and observations, vaporizers are a relatively healthy alternative to tobacco use. However, it should be noted that the effects of vaping liquids have not yet had to time to be adequately determined. vaporizers may lead to a reduction of addiction in some cases, yet they may lead to increased addiction in other cases. There are many questions that have yet to be answered regarding vaporization and the associated tools, and these potential concerns should be taken into account before their use. It is recommended for anyone using these devices to take proper care to moderate their intake of these liquids.